Alan Feld is the Founder and Managing Partner of Vintage Investment Partners. Vintage Investment Partners is Israel’s leading venture fund of funds, secondary fund and late stage co-investment team. The firm today manages $1.8 billion through 9 funds and a managed account. Vintage tracks over 500 venture funds and 6,000 private technology companies. Prior to founding Vintage in 2002, Alan Feld was a general partner at Israel Seed Partners and at Vertex Ventures. Prior to Vertex, Alan was the Managing Director of Evergreen Capital Markets/Robertson Stephens Israel. Before moving to Israel in 1994, Alan was at Goodman’s (Toronto), one of Canada’s leading corporate law firms. Alan was Founding Chairman of StartUp Jerusalem, a non-profit organization run by Israeli and Palestinian businesspeople helping to foster job growth in Jerusalem. He served as Chairman of the Steering Committee of the Be’eri project, an initiative of the Hartman Institute, and is also a former board member of the Israel Democracy Institute and the Jewish Funders Network (US). 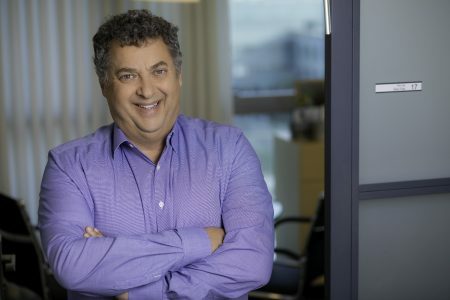 Alan also served as Associate Chairman of the Canadian Jewish Congress, President of the North American Jewish Students Network and a board member of the Canada Israel Committee and Kolot (Jerusalem), a pluralistic adult Jewish education program. Alan received an MBA from York University in Toronto, an L.L.B. from Osgoode Hall Law School in Toronto and a B.A. in Commerce and Finance from the University of Toronto.